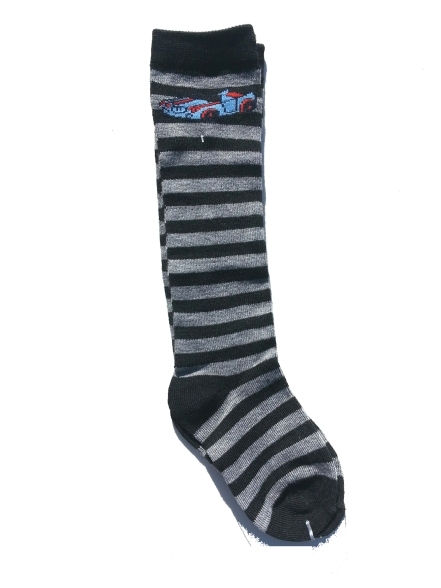 **New** Versatile striped cotton knee socks for boys. Classic light gray and dark gray with an embroidered car at the cuff. 70% cotton. Great with shorts or knicker pants for a youthful European look. For ages 4 - 8 years.